Intelligent and highly reliable actuators with integrated EnOcean short-range communication. They are used in place of electromechanical switches and control lighting, shading and ventilation. A light switch or motion sensor that can be positioned anywhere can be added in a minimum amount of time without laying any cables. Actuators in the ViACT platform are ideally suited to a wide range of requirements and ensure comfort and security in both commercial buildings and private homes. The ViACT actuators communicate bidirectionally. They receive information and switching commands from sensors as well as control commands from gateways and actively transmit their status as soon as it changes. They can be completely configured wirelessly and implement the EnOcean security concept through a device-specific security code. ViACT relies entirely on interfaces and specifications standardized by the EnOcean Alliance for both operation and device management. These include the EnOcean profiles used (EnOcean equipment profile – EEP), a combination of remote management and remote commissioning (ReMAN + ReCOM) as well as the electronic identification and description of the devices based on the EnOcean product ID, an electronic data sheet (device description file – DDF) and the EnOcean QR code. The reliability of EnOcean installations results, in particular, from the robustness of the wireless connections. ViACT actuators therefore contain a configurable EnOcean repeater with level 1 or level 2 functionality. The ViACT platform also provides EnOcean ViNET Routing and sends EnOcean messages to their proper destinations. For more information, click on ViNET at the top of this page. All ViACT actuators offer security functions that work entirely without any central infrastructure. Wireless smoke detectors turn on the lights along escape routes and open venetian or roller blinds at windows and doors. Panic buttons, which can be positioned anywhere, activate the lights throughout the house or within a certain area. Wireless wind alarms automatically protect venetian blinds and awnings against damage. ViACT actuators are, of course, well suited for integration into a smart home. 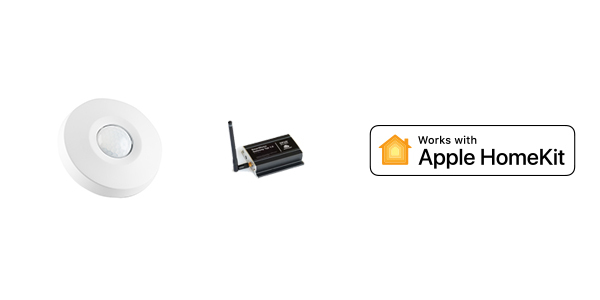 Combined with a suitable gateway, they interact perfectly with Apple HomeKit and can also be controlled via Amazon Alexa. 1-channel or 2-channel switch actuator for 230V AC voltage with local operation and external pushbutton input. 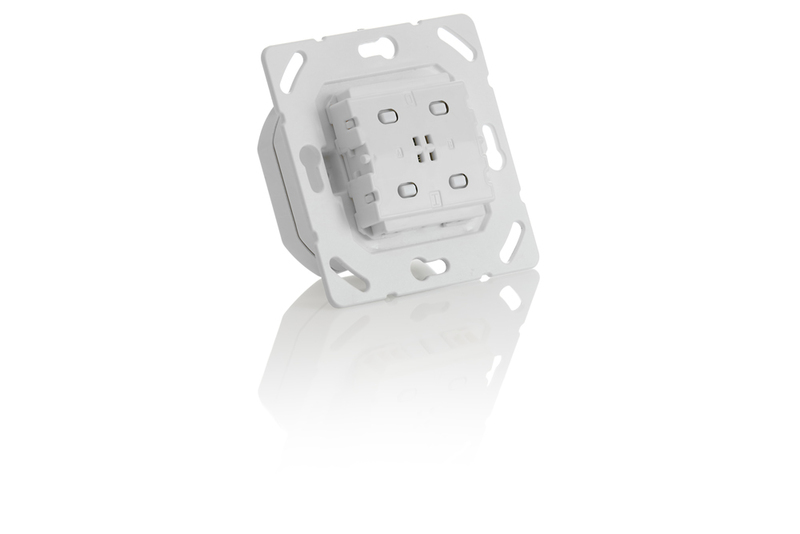 For installation in flush-mounted or cavity wall boxes as well as for surface mounting. Shallow mounting depth of only 25 mm. The EnOcean wireless unit is positioned outside the wall, meeting the best requirements for optimum range and reliable communication. Can be fitted with a single or dual rocker. 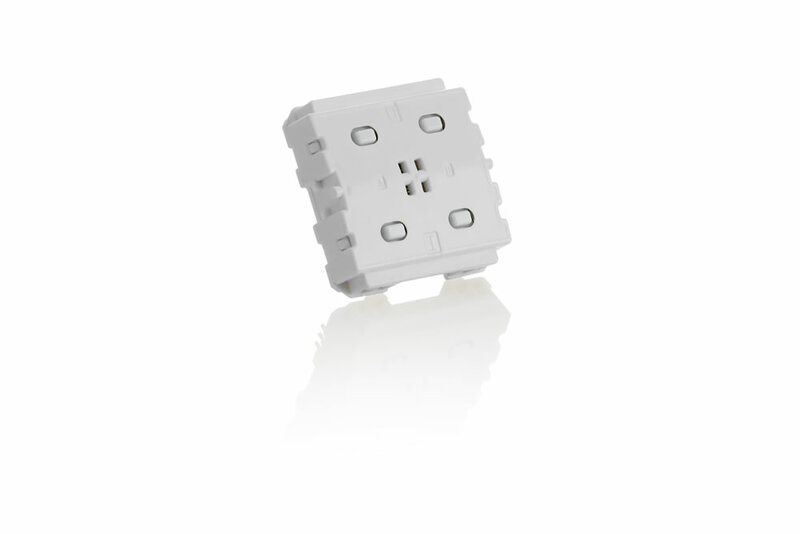 Compatibility with rockers for the PTM210 switch module of EnOcean GmbH permits the use of many decor lines from established switch and wall outlet manufacturers. Rocker function configuration: toggle, bottom ON, top ON, assign rocker to output. Configuration of the external 230V pushbutton input: assign pushbutton input to output, transmit pushbutton signal. Timer with switch-off warning and cleansing function, fully configurable. Switching logic for conventional EnOcean motion sensors with and without brightness measurement, fully configurable. Central ON and central OFF via EnOcean wireless switch. Escape route lighting in combination with EnOcean smoke detector. Chaining function for ViSENS Smart Motion Sensors. Overriding of switching information in ViSENS Smart Motion Sensors. Control function with red or green LED. 1-channel dimmer actuator for 230V AC voltage with local operation, for LED and conventional lamps. For installation in flush-mounted or cavity wall boxes as well as for surface mounting. Shallow mounting depth of only 32 mm. The EnOcean wireless unit is positioned outside the wall, meeting the best requirements for optimum range and reliable communication. Rocker function configuration: assign rocker to output. Switch actuator for 230V AC voltage with local operation and external pushbutton input. 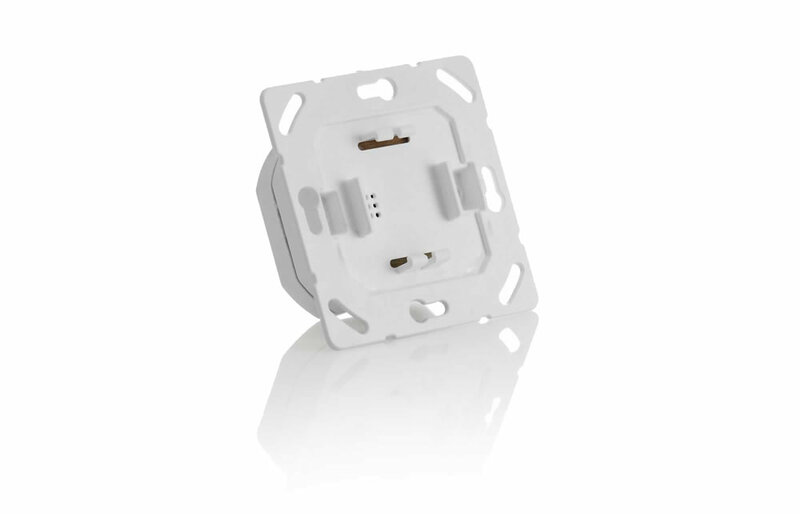 For installation in flush-mounted or cavity wall boxes as well as for surface mounting. One device for controlling roller blinds, venetian blinds or awnings simplifies logistics and stockkeeping. Calibration of travel and rotation time within the actuator makes startup faster. Lockout protection combined with EnOcean window handle and/or window sensor. Central UP and central DOWN via EnOcean wireless switch. Opening of roller and venetian blinds in combination with EnOcean smoke detector. Blinds opened or awnings retracted based on wind warning, via external 230V input or wirelessly via EnOcean wind alarm. 16A switch actuator for 230V AC voltage with local operation and two-part design for problem-free installation. For installation in electronic flush-mounted or cavity wall boxes as well as for surface mounting. The EnOcean wireless unit is positioned outside the wall, meeting the best requirements for optimum range and reliable communication. With its EnOcean routing function, ViNET ensures complete wireless coverage and maximum transmission security for EnOcean wireless networks. The actuators, sensors and gateways are configured and started up via standardized interfaces and functions, using the ConfigTool, which is already utilized during the planning stage. A smart building or smart home is only as good as its wireless coverage, which must be complete and continuously available so that the reliability of a wired connection can be also achieved wirelessly. EnOcean repeaters can be used for this purpose, which provide no more than two extension links. ViNET Routing goes beyond this limitation and permits as much extension as is needed for the particular application. The signal from a smoke detector is picked up by a continuously powered device in its immediate vicinity, for example a ViACT switch actuator, and forwarded to all other actuators that have to respond to the smoke detector. All devices involved in ViNET Routing pass on the EnOcean message, regardless of whether the message was addressed to them. ViNET Routing has no single point of failure. Other routing processes work with a central device that organizes the routing. If this device fails, the routing must be reorganized before it can function again. This single point of failure does not exist with ViNET. If one device fails, the others forward the EnOcean message. In the smoke detector example, ViNET Routing continues to work even if part of the installation was damaged by a fire. ViNET Routing is easily activated via the standardized configuration interface of the ViACT actuators. For example, the ViNET ConfigTool 2018 can be used for this purpose, as can any other software that supports ReMAN and ReCOM. The ViNET ConfigTool EnOcean was developed for planning, commissioning, installation, startup, documentation and acceptance of an EnOcean installation in a compact software package. Buildings are planned directly in the ConfigTool EnOcean, room by room. A bill of materials for procuring equipment and a project file containing all relationships between the devices and their parametrization are generated as the initial result. In the next step, the procured devices can be commissioned according to the project before they are delivered to the construction site. The configuration can also take place during the course of installing the device. The ViNET ConfigTool EnOcean supports startup with an adjustment run for venetian or roller blinds, by adapting sensors to structural conditions and by testing the wireless connections between the gateway and the individual devices. Of course, it also allows the device behavior to be adapted to changing customer requirements. After startup, the ConfigTool EnOcean generates a printable acceptance certificate and documents the complete installation in a project file. Both are provided to the customer at the end of the project. Changing the configuration or extending the project later on can be easily done without complications. To replace devices, for example, the device to be replaced is marked in the project and the new one scanned. All settings of the replaced device as well as communication with other devices in the project are automatically restored. The replacement is documented in the project file and an acceptance certificate can be generated if necessary. The ViNET ConfigTool EnOcean supports devices of different manufacturers. The product catalog contained in the ConfigTool is defined by ViCOS customers who market the ConfigTool to their planners and installation partners. The ConfigTool EnOcean runs under Windows 7 and Windows 10, and EnOcean communication takes place via the ViNET EnOcean USB stick. Multisensors for indoor and outdoor use. Agile, intelligent and with integrated EnOcean short-range communication. With maximum energy harvesting power and minimum power consumption. They combine motion, moisture, brightness, temperature and wind. The sensors within the ViSENS platform communicate bidirectionally. They transmit measured values and switching commands derived from them to actuators and gateways either cyclically or triggered by events and receive configuration information at certain points in time. The EnOcean security concept is implemented by a device-specific security code. ViSENS relies entirely on interfaces and specifications standardized by the EnOcean Alliance for both operation and device management. These include the EnOcean profiles used (EnOcean equipment profile – EEP), a combination of remote management and remote commissioning (ReMAN + ReCOM) as well as the electronic identification and description of the devices based on the EnOcean product ID, an electronic data sheet (device description file – DDF) and the EnOcean QR code. The ViSENS platform not only detects or measures physical variables but also evaluates this information and then derives the values and data to be transmitted. This allows functions to be implemented whose central deployment would require very frequent and energy-intensive transmission: for example, the recognition of brightness trends and the correct lighting control derived from them. Or when assessing the wind situation and triggering a wind warning on this basis. Both the measured value analysis and the derived control commands are configured wirelessly and can be adapted to changing conditions at runtime. ViSENS sensors add not only measured value detection but also intelligent control to existing installations. A pure EnOcean switch actuator installed years ago, which does not support any sensor EEP, can switch the lights with the aid of ViSENS according to the situation in a way that meets the room user’s expectations. ViSENS sensors can also be effectively integrated into smart home systems. In combination with a suitable gateway, their measured values are integrated into Apple HomeKit, where they are available for visualization and automation purposes. Every Smart Motion Sensor is based on a multichannel infrared sensor and a signal processing system developed specifically for this sensor and designed for indoor use. The IR lens permits 360° detections at an opening angle of 120°. This makes the Smart Motion Sensor suitable for mounting on both the ceiling and the wall. Detects motion and room occupancy and turns the lights on and off depending on the brightness trends. Detects whether lights have been turned on or off by external control and can distinguish this from changes in brightness due to the surroundings. Behaves like a smart light switch and communicates accordingly via EnOcean wireless technology. Adds a precise measurement of temperature and humidity to the light switching functions of the Smart Motion Sensor Standard and transmits these measured values according to configured filter criteria. Detects presence and measures the current brightness at the same time. Transmits both items of information according to configured time criteria. Detects human activity and evaluates it according to a configurable filter function. Immediately transmits changes to the activity status and repeats the transmission cyclically. The Smart Outdoor Sensor is a sensor module with EnOcean short-range communication, developed for harsh ambient conditions on the outer walls of buildings. It is water-tight, dew-proof and its operation cannot be impaired by insects or microorganisms. A suitable solar cell, combined with a lithium storage unit or an industrial battery, is used for power supply. Both components are connected externally to the sensor module of the Smart Outdoor Sensor. The sensor can thus be alternatively powered via an optional power supply unit. A passive wind pulse generator is required for use as a wind alarm. The characteristics of the Smart Outdoor Sensor can be set very flexibly, for which reason a large selection of products are available. The activation and deactivation of a wind alarm are defined by filter parameters and can be changed at runtime. A brightness sensor, which is either integrated into the Smart Motion Sensor module or is available as an external component, is used to measure outdoor brightness. This makes it possible to freely design the device housing, depending on the desired look or functional requirements. The measurement covers the full range of outdoor brightness, and rapid changes can be excluded from transmission with a user-defined filter.